What’s a website without traffic? How do potential customers find your site when they search? When it comes to directing traffic toward your site, you want all lights on “go.” We polled our panel of web design experts on their recommendations for promoting and protecting websites. In follow up to our “Answers from the Pros” post in July, we are happy to share more expert insights with you. What steps do you recommend to get websites found, crawled and indexed by search engines? Posting relevant content that incorporates strategic keyword terms was the most frequent recommendation, mentioned by four out of nine of our web design experts. (Jeremy, Reggie, Jeff and Thom). Others endorsed hiring a “search engine optimization” (SEO) professional (or learning how to do SEO yourself) and submitting a site to the key search engines. Developing content and optimizing for search engine ranking are both essential to being found by more potential customers. Search engines are frequently making changes in how they determine rankings (the order in which websites appear in search results.) It can be challenging to keep up with these changes and know how best to respond (and adapt your site). Hiring an SEO expert may be well worth it for you, but we advise you to proceed cautiously as we address in a previous post. Likewise, it may be a wise investment to hire an experienced web content developer who can help you identify and incorporate the information your customers are searching for. What steps do you take to maintain your Web presence? Four out of the six web designers responding to this question use frequent, keyword-rich and unique updates to a site for this purpose. Others proposed keeping up with web trends in addition to content updates. Once again, content plays an important role. Because search engines use frequency of updates in assigning search result rankings, it is important to post new, relevant content to your site on a regular basis (at least once every 21 days). Adding a blog to has become a popular method for accomplishing this. How often do you use link articles to draw attention to your website? Jeremy: We don’t publish external articles. We use press releases for this tactic. Publishing articles on reputable websites outside of your own, then linking to your website from them, can contribute additional traffic to your site as well as establishing your credibility on the topic of the articles. Google is giving new emphasis to “authorship;” this recognizes a subject-matter expert as writing professional articles found at various online addresses. These experts’ posts benefit in search results ranking, thereby boosting site traffic. Conclusion: Developing web content is an important investment for your time and money. If you have any questions about how to create effective content, please call Page Progressive. We provide both SEO and content development services, and we welcome the opportunity to help you optimize your site. What are the key elements of designing a mobile website? Reggie: Ease of navigation. It is not necessary to display your whole site on a mobile device, just the most important aspects. Jason: Don’t try to do too much, keep it simple. Steve: Content location is a primary factor for mobile. Increasing numbers of people are accessing the web with a mobile device (smart phone or tablet); therefore it is becoming more important to have a “mobile-friendly” web presence – especially if you are marketing to consumers. Options to address this need range from “build it yourself” templates to “responsive“ WordPress themes to separate custom designs for mobile. The best solution for you depends on your individual business and your current website parameters. We recommend you talk with an expert about your mobile needs. We have helped numerous clients with mobile sites, and we would be glad to discuss yours as well. 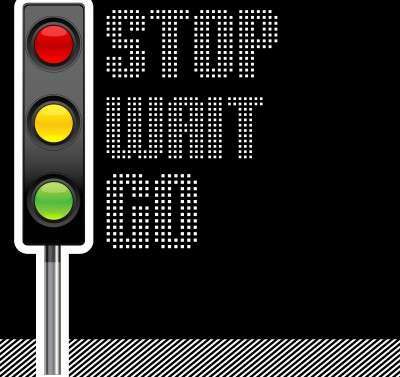 To keep traffic flowing to your website, it is important for it to stay available without interruption. We asked the experts for their recommendations about protective measures. What steps do you recommend to protect websites from being hacked? Jeremy: Encrypted connections, password strength and file protections. The rest is a secret. Reggie: As highly secure government sites with unlimited resources will attest, it is impossible to protect your website 100 percent from hacker attacks. But removing all unused plug-ins and components, keeping the site software and template updated, installing a third-party firewall, changing passwords on a regular basis using a combination of letters, numbers and symbols (not the name of your dog! ), and then praying. Kash: I leave it to the host company. Melanie: I rely on the web host for protection. Conclusion: Don’t take shortcuts on security and choose a reliable host you can trust. Page Progressive offers hosting, and we invite you to contact us about that service as well as conducting a site security audit, to ensure you have maximum protection in place. What backup service do you prefer and why? Reggie: Backblaze, because it is affordable and easy to use. Conclusion: There are a variety of backup services out there, and choosing the right one for your particular situation may be challenging. Page Progressive is happy to recommend a reliable back up option for you. In a previous post, we have also provided more information about security measures. We want to thank the web experts who took the time to answer the questions in our survey. We are pleased to include these individuals in this post.